The George Watts Hill, Jr. House: Sold in 1967 to Anton and Leopoldina Peterlin. Sold in 1978 to current owners Joel C. and Christine J. Huber. 2474 square feet. 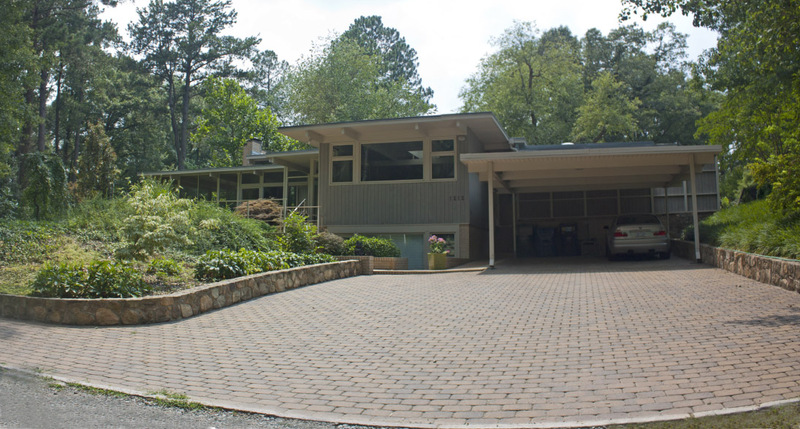 the guest cottage was a demonstration house for General Electric, designed by students at the NCSU School of Design under George Matsumoto. The project was underwritten by the Hills and the house moved to the property in the late 1950's. The main house was renovated by Jim and John Webb in the late 1980's.